LANDIKOTAL: The released persons are present with the political party leaders after they reached the political administration office in Landikotal. 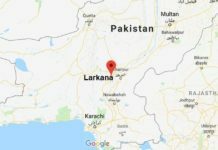 LANDIKOTAL: The 17 tribesmen of Landikotal who were abducted some five months ago by unknown gunmen from Enzaro Nao area have released on Thursday evening. Officials and relatives of the released persons confirmed to mediamen on Saturday. A warm welcome and respect was offered by officials of the political administration, the local elders, political party leaders and civil society members to the seventeen released persons at the office of political administration and Landikotal bazar. 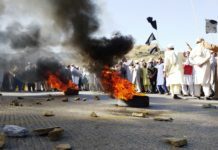 The released persons told mediamen that they had gone to a picnic spot ‘Enzaro Nao’ area where some gunmen arrived and kidnapped us to Afghanistan on gunpoint. 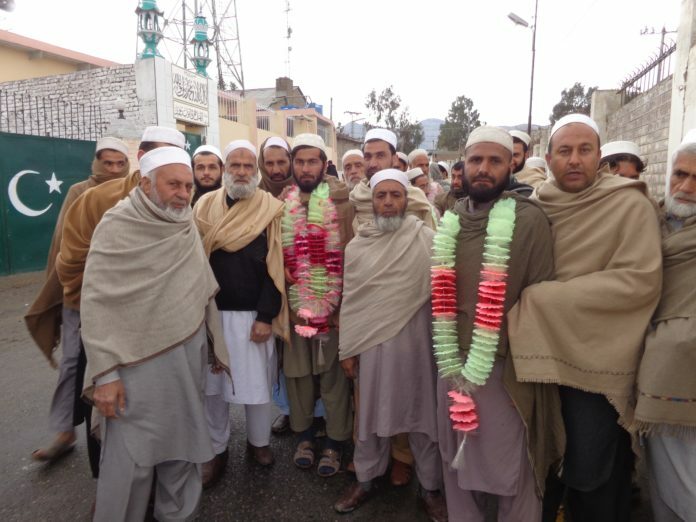 A large number of locals including political party leaders, civil society members welcomed them at Landikotal bazar and offered bouquets to the freed persons. The released persons told media that they were in the captivity of Jamatul Ahrar, a splinter group of (TTP) Tehrik-e-Taliban Pakistan. The freed persons told mediamen they were tortured by militants by using abusive language to them. Emotional and loving scene were observed when the relatives of the abducted persons met their near and dears at the political administration premises. I saw a close relative of a released person who was holding hand of the release person and tears were clearly visible in his both eyes. Basheer Ullah, a released person said as they offered prayer at Enzaro Nao area some gunmen reached the site and told us to go with them. He said the gunemen covered our faces and we walked with them for hours. Another released person said the gunmen shifted them to Afghanistan and they kept us at various places in Ningarhar province of Afghanistan. 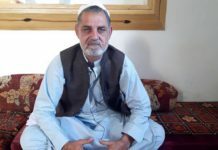 When this scribe asked the freed persons about which Taliban group had abducted them, the freed persons said the Taliban group was ‘Jamat-ul-Ahrar’ (JUA) adding it that the militants told this that they were belonging to Jamaat-ul-Ahrar. 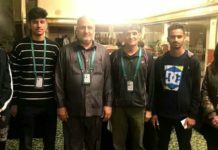 The freed persons said the Taliban were thinking that we were working with security force of Pakistan but we told them that we were the citizens of Pakistan and have not been recruited in Pak security force. A student of 9th class who was also abducted by militants told this scribe that we were facing difficulties in the imprisonment of militant group. We were seventeen persons but the militants were used to give us some five to six breads and a very small amount of cooked food. A freed person disclosed. When this scribe sent a text message to the officials of the political administration of Khyber Agency, none of the officials responded me that who has handed over the released persons to them after they were freed by militant groups in Afghanistan. The released persons talking media thanked all those who struggled for their safe release from Taliban detention. Meanwhile the political party leaders of Jamat-e-Islami, Pakistan Muslim League-N, Pakistan Tehrik-e-Insaf and Awami National party gathered at Landikotal bazar and addressed the locals and the freed persons. The leaders Zarnoor Afridi of JI, Abdur Raziq Shinwari(PTI), Shah Hussain Shinwari(ANP) and Israr Shiwnari of (PML-N addressed the gathering. The leaders said the struggles of the political leadership bear fruits and the release of the abducted persons was only made possible due to the political party leaders and the local journalists who raised their voice through print and electronic media to safely release tribesmen. Israr Shinwari said the authorities should announce financial package for the released persons as they were in the detention of militants for many months and they were belonging to very poor families. 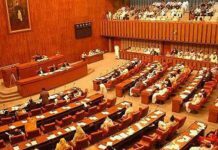 The sources also revealed that the representatives of the Khyber Agency in National Assembly also raised voice for the safe release of the tribesmen. 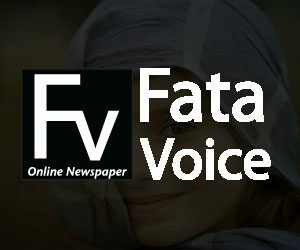 A couple of days before senator Taj Muhammad Afridi while talking mediamen had said that they were doing efforts for the safe release of the 17 abducted persons.